Kitvu Lachem » What is STa”M? STa”M is a Hebrew acronym for Sefer Torah, Tefillin, Mezuzot. 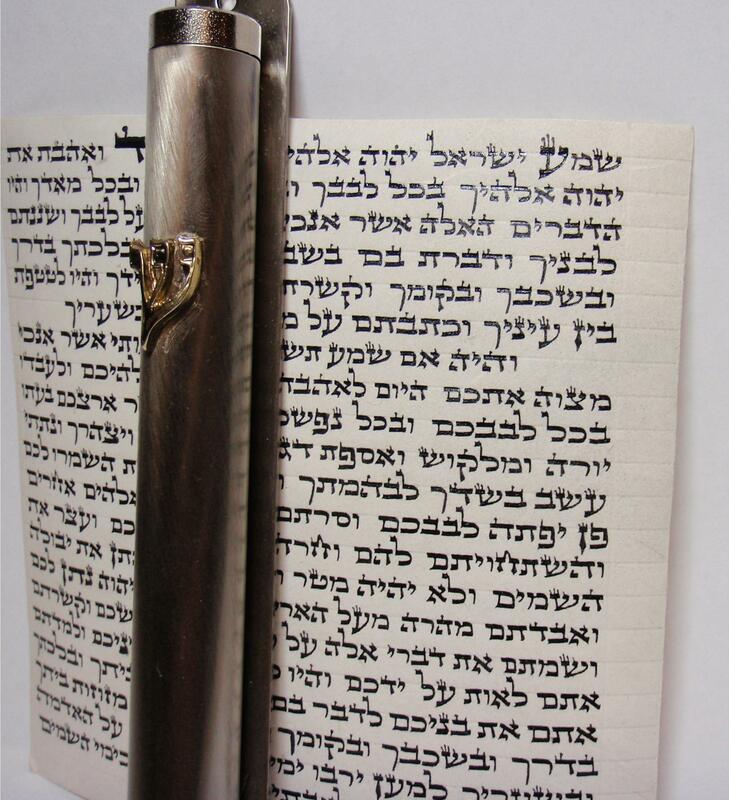 All STa”M must be written by hand with kosher klaf (parchment) and ink. In addition to having many strict Halachot (laws) that govern each and every letter, there are also halachot pertaining to the klaf, ink, spacing, size, sirtut (lines) and more. The smallest error can render an entire scroll Pasul (invalid). STa”M must also be sanctified and written consciously and with the intent that it is holy. Over and above this, each and every mention of Hashem’s (G-d) name must be specifically sanctified and written with this intent. There are a number of different levels of kashrut for STa”M and one should become familiar with them before looking around to buy for himself. 1) Beit Yosef – used by Ashkenazim who follow Nusach Ashkenaz. 2) AR”I Za”L – used by most Chabad Chassidim and those Ashkenazim who follow Nusach Sephard. 3) Alter Rebbe K’tav – used by Chabad Chassidim. 4) Eidot HaMizrach – used by Sephardim. 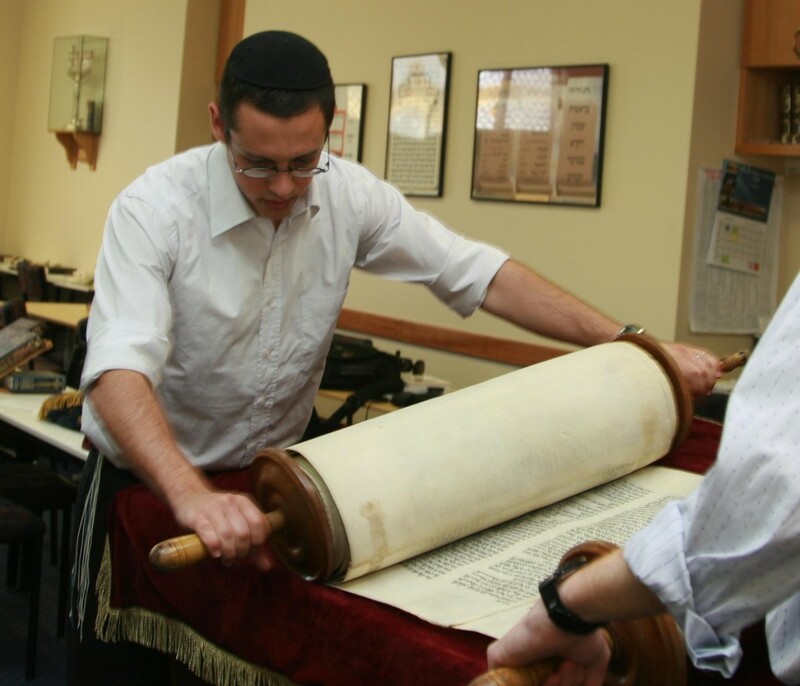 There are many different laws and customs specific to a Sifrei Torah, which vary in price and quality. Every week on Shabbat a portion of the Torah is read in shule (synagogue) and in this way the entire Torah is completed over the course of a year. On festivals, fast days and Rosh Chodesh (first of the month) specific portions of the Torah are read that are relevant to that day. In addition to the halachot of writing the parshiyot, tefillin also have numerous halachot that govern the retzuot (straps) and the batim (lit. houses) themselves. There are a few different kinds of batim. 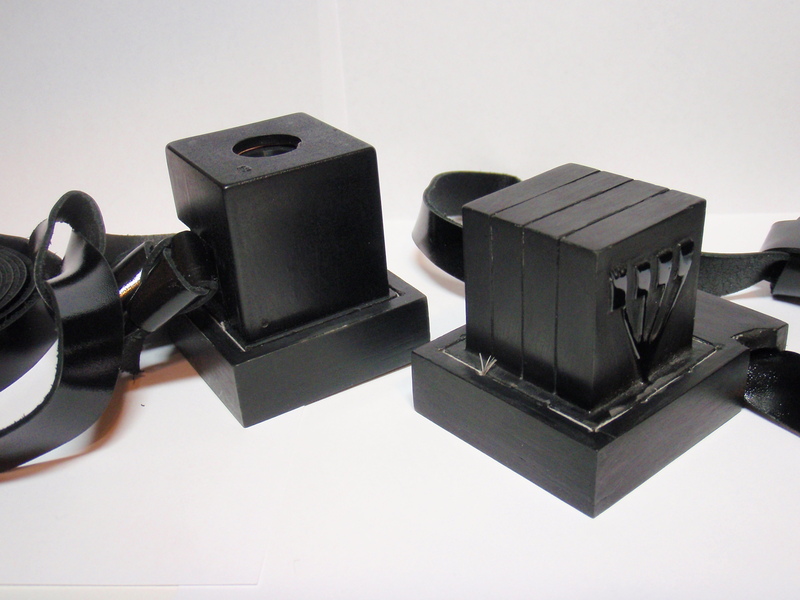 The best quality and most durable are called Gassot and are made from a single piece of thick leather, moulded to the correct shape of the tefillin. The next kind are called Dakot and are made from a single piece of leather, but much thinner than the Gassot, which is stretched and folded into shape. This means that Dakot are much more susceptible to deformation if they receive a blow or are dropped. Whereas regarding Gassot if damaged they can be fixed as the leather is thick, the Dakot generally can’t. 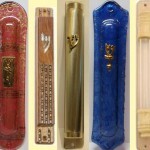 The next kind are Peshutim Mehudarim which are made from a single thin piece of leather and are folded and glued into shape. The last kind are Peshutim, which consist of individual pieces of leather that have been glued together, which generally won’t last longer than a few years. If one’s tefillin have been checked once by a qualified Magiha, then according to the generally accepted Halacha there is no requirement to have them checked again. However if they have been left unused for a long period of time, exposed to extreme temperatures, water or subject to some other kind of rough treatment, one should have them checked to make sure nothing has been damaged. In contrast, there are a number of sources (Mechilta Parashat Bo, Yerushalmi Eruvin 59b, Tosafot Menachot 53a…) that mention that one should have them checked periodically. 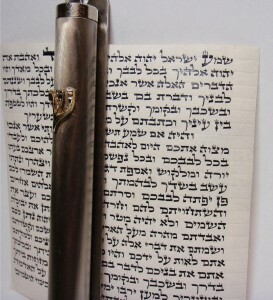 A Mezuza is a scroll containing the first two paragraphs of the Shema (the same as the last two parshiyot of tefillin), which is rolled and affixed to most doorposts in the home. The mezuza has the same halachot as the tefillin regarding the writing and most aspects involved in it’s production. 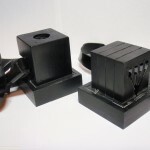 Tefillin and Mezuzot have a unique halacha that does not apply to other items such as Sifrei Torah or Megillot. This is called the law of Kesidran (according to their order) and it means that each and every letter in the tefillin and mezuzot must be written in order. Therefore, if there is an error that invalidates the letter, and there is a name of Hashem (Gd) located after the mistake it cannot be corrected, since to do so would require the Sofer to remove all writing up to the error and re-write it, however Hashem’s name cannot be erased. It is a halacha to have one’s mezuzot checked twice every 7 years (i.e. once every 3.5 years), and this should be done by a qualified Magiha. For mezuzot of a public institution (e.g. gates of a city etc.) the halacha is to have them checked twice every 50 years. 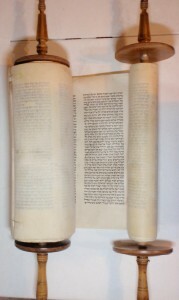 A Sofer STa”M is a scribe who is qualified to write these three items. The Sofer STa”M needs to be an expert in all the halachot, especially since there are many upon which the kashrut (validity) of the item depends that will never be known by anyone other than the Sofer himself, such as the correct intentions, order of writing etc.. It takes many months, even years, of learning and practice to initially become properly qualified and truly familiar with the halachot and art of a Sofer STa”M, and it is important to make sure when buying STa”M products that it is from a knowingly trustworthy source. The Sofer STa”M needs to have great Yir’at Shamayim (fear of heaven), as it can happen that an item he has been working on for many hours is unfit for use due to an error that cannot be fixed and he must discard it, even though he could make it looks like it is ok. There are many stories and examples of scams, even in today’s world, since it is an area that most people know very little about. One must be careful when buying STa”M, even in Israel one mustn’t assume that anywhere he goes it is automatically kosher. A common misconception is that all Sofrei STa”M can also check and examine STa”M. It takes a great deal extra learning in order to be able to deem a particular item kosher or pasul, over and above the minimum requirements to become a qualified Sofer STa”M. A Magiha is one who is qualified to examine and apply necessary corrections to STa”M. This involves a great deal more study than it takes to become a Sofer because the Magiha needs to know every detail of every letter and their halachic status for every type of variation or imperfection. There are two main examinations the STa”M goes through after completion. The first is Chaser VeYater, checking that there are no missing or additional letters. The second is Tzurat HaOt, checking that every letter is the correct shape. These two are in addition to the Magiha making sure that the colour, spacing and all the other requirements are fulfilled in accordance with Halacha. 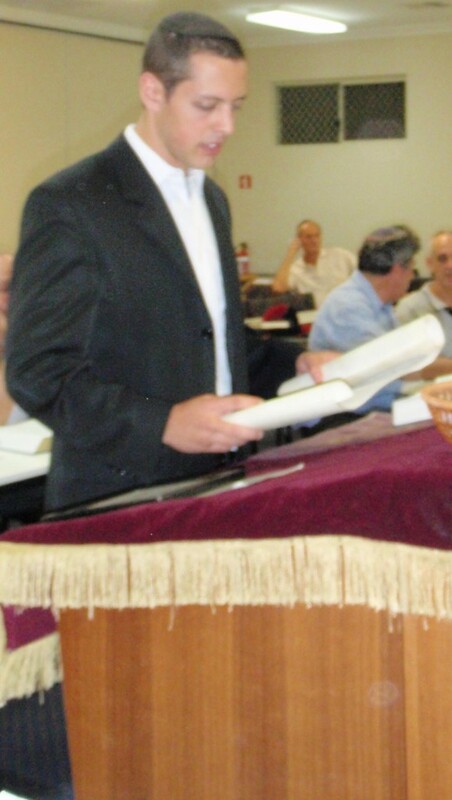 A Ba’al Keriy’ah (commonly called a Ba’al Koreh) is a person who reads the weekly parasha from the Sefer Torah according to a special tune denoted by the trop (cantillation notes) during the shule service. As the Sefer Torah is not written with any vowels or punctuation, it takes a great deal of practice to become proficient in this art. Originally, seven men would be called up on a Shabbat to read a section of the weekly Parasha themselves (6 men on Yom Kippur, 5 on festivals, 4 on Rosh Chodesh and 3 on fast days, Shabbat afternoon and during the week). However, it soon became necessary to appoint a primary reader, since many were not able to prepare the reading themselves. From then on the ones who would be called up would just recite the appropriate blessings before and after each section. After the weekly parasha is read, a section from Nevi’im (Prophets) called the weekly Haftarah is read according to it’s own special trop. In most congregations around the world this is not read from a scroll, as the parasha is, but from a regular TaNa”Ch or Chumash.